australian-charts.com - Rita Ora feat. Tinie Tempah - R.I.P. Premier single adressé au marché britannique. Das Sample passt hier gut, sehr ansprechende erste Single von Rita Ora. Gute 4*<br><br>EDIT: Hoch auf die 5*. gefällt mir zunehmend besser. Very strong debut solo track. She sounds fierce, lots of attitude... Oh and very catchy too. This will undoubtedly be number one, and she deserves it! I'm not the biggest fan of this song, I much prefer "How We Do (Party)", but it's still pretty catchy. Missfällt mir deutlich, gute 2*. Really like this track. It flows really well and is memorable. Rita's second UK#1 and Tinie's 3rd UK#1. UK#1 and Ireland#11. ▒ Doodsaaie plaat uit februari 2012 van "Rita Ora & Tinie Tempah" !!! Ook de videoclip vind ik persoonlijk niets bijzonders !!! Bij 2 sterren houd het dus voor mij gewoon op ☺!!! I liked this initially but it got old really fast like How We Do. Can't listen to it now because of the silly lyrics. Ik heb ze wel eens beter gehoord. Maar dit is een aardige poging. niet slecht, maar goed is het ook allemaal niet. Matig dus! Niet slecht, maar hoeft van mij geen hit te worden. Ik vind het ook zeker geen slechte plaat, maar een hit zit hier niet in, volgens mij. Laat maar varen. Der Song ist der Wahnsinn!!!! Ohne Tinie wärs noch besser! Doesn't interest me. 'How We Do (Party)' is much better. Naja, der Song ist nicht gerade der Hammer. Sehr durchschnittlich. Nicht schön produziert und die Stimme gefällt mir auch nicht sonderlich - da hätte man mehr daraus machen können! Wo der Werner recht hat, hat er recht. Klingt recht knackig so insgesamt. Das Besondere fehlt zwar aber gut anhörbar. 4,5* abgerundet. Wow, da woch wirklich "Heartbeat" von Nneka noch reinzustecken, ist wirklich mit einer nicht zu unterschätzenden Dreistigkeit verbunden. Das verschlechtert den ohnehin schon sehr mauen Eindruck dieses Titels noch zusätzlich. Parts of this are actually interesting, so it has more going for it than "How We Do (Party)" already. I don't really like her voice in the chorus, but overall it's alright. Rita Ora ist eine brritische Sängerin gebürtig aus Kosova. Song ist nicht schlecht! This is reasonably dull and inoffensive. Not close to How We Do (Party). Finde den Track nicht schlecht. Ganz netter Refrain. Sieht wie die nuttige Ausgabe von Shakira aus! ;)<br><br>Das Lied selbst finde ich nicht schlecht, aber auch nicht den Überhit! She is so boring. I don't understand the fuss around this girl at all! Her voice is average and I find this song very bland and boring. A big pile of nothing! She comes off as another Cher Lloyd to me. Hier passt Tinie Tempah zumindest besser rein als in Ellie Gouldings "Hanging On". Besser als "How We Do", erinnert ein wenig an die "Here I Am"-Kelly-Rowland (um nicht immer nur Vergleiche mit Rihanna anzustellen).<br><br>edit: Runde von 4,5 nun auf 5 auf. Sounds horrible. What is the big deal with her? She's boring! 1.000x in ähnlicher Form gehört. Ging den Sommer auch an mir vorüber, dabei gar nicht so schlecht. Really was dissapointed this followed the fluffy 'How we Do' and i've never warmed to this track.<br>It's not bad but it's nothing and goes nowhere imo. Didn't grab me as much as "How We Do (Party)" at the time and listening to it again now it's definitely the weakest of the four singles from her debut album. The Rihanna comparisons that Rita constantly get are at least fair for this track, it does sound like it wants to be a Rihanna song. Given it was originally written for Rihanna, it's understandable that it sounds like it does. Not that it's a bad thing though, Rita may not have as much charisma as Rihanna but she pulls it off well anyway. There are moments which aren't so great, but for the most part I still enjoy this a lot. The bridge is the best part for sure. I could do without Tinie but in saying that it would feel weird without his contribution. The first half of the song was perfect and catchy but soon after becomes boring. Despite all the overplay it got at the time and how much it annoyed me I had to sample it not once but twice today just so I could remember it for this review. That shows how forgettable and useless it is. I hate it a lot, not being a troll or anything. Perfect. Hands down Rita's best and one of my favourites of 2012. Flawless track, so happy it scraped the top 10 here. Mich erinnert das Sample hier eher an den "Chase & Status"-Remix von Nnekas "Heartbeat". Erstere sind ja auch als Produzenten aufgeführt und sorgen mit dafür, dass die Beats schon rollen.<br>Die Vocals brauchen eine Weile, bis sie ins Ohr gehen, dafür ist der Rap-Part (hier mal ausnahmsweise für Pop-Rap-Features nicht im letzten Drittel, sondern zu Beginn) ziemlich cool geraten. 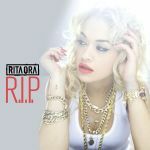 Not feeling the lyrical content it feels a bit mishmash when Rita says "R.I.P. to the girl who used to see, her days are over". Plus Tinie Tempah is a crappy UK rapper and his appearance is not good. Sehr schlecht gemacht. Ich bin jetzt nicht der Rita Ora Fan aber selbst sie hatte schon bessere Lieder. Soweit ok, aber etwas überproduziert. Nur der Gregor Salto Remix macht den Song erträglich!